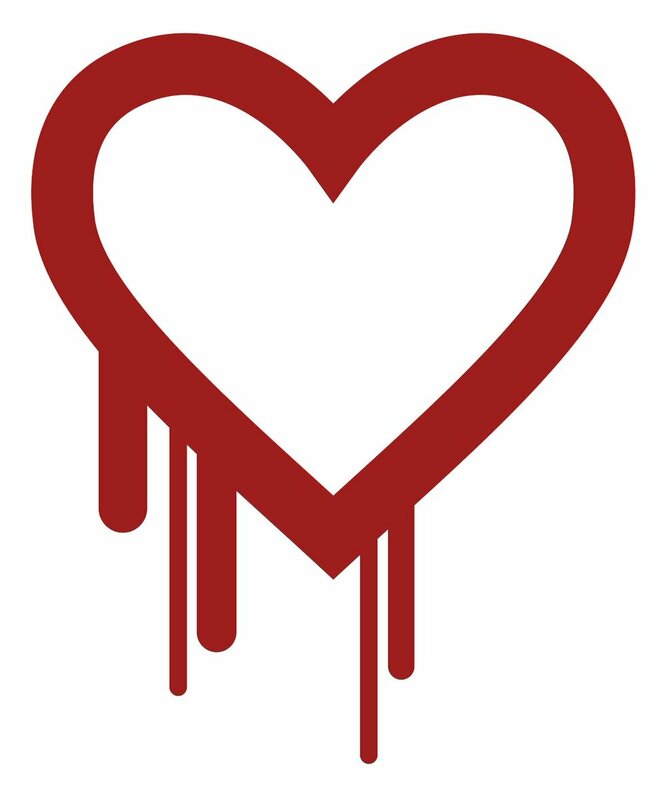 Thread by @colmmacc: "I think right around this minute is just about exactly 5 years since the Heartbleed vulnerability in OpenSSL became public. I remember the d […]"
The TLS protocol had been extended to include a "Heartbeat" extension. It was intended for keep-alives and MTU discovery for DTLS, which uses UDP, but OpenSSL had included it in regular TLS too (which uses TCP). Unfortunately we had a few customers stuck though; their OpenSSL libraries were embedded in commercial software that they couldn't quickly upgrade. One of our VPs reached out "Is there anything we can do here?" So at about 2AM, I wrote a Netfilter plugin that could block heart bleed using the Linux Kernel firewall. It's still on GitHub ... github.com/colmmacc/nf_co… , it tracks the TLS record layer state machine and would drop any heartbeat messages. Crude but effective. In our annual planning, we had raised the idea of writing our own TLS/SSL implementation because we thought we could better, but it was a nascent plan. Well that went from nascent to DO IT NOW. I started writing when became Amazon s2n. It took about 5 weekends, just me, and there's something very special about finally getting a bunch of code together and seeing it work in a browser. It took a little longer, and 3 intense security reviews, to get approval to Open Source it, but our CEO was very supportive. s2n is coded specifically in a way to try to avoid the problem heartbleed hit. Rather than parse memory into integers using pointers directly, all across the code, s2n uses a "stuffer" data structure that includes a cursor. Similar to BoringSSL's crypto_bytes, or DJB's stralloc. Oh BoringSSL! In the months after HeartBleed, the industry rallied to get OpenSSL more funding and support through the core infrastructure initiative. We still take part! And the BoringSSL and LibreSSL forks of OpenSSL happened. Great work from each! The next year, the amazing @BenLaurie and @trevp__ started an annual High Assurance Cryptography workshop after @RealWorldCrypto, that has also born fruits and helped us produce tools that can analyze cryptography code and find even subtle problems. I'm almost done, but before I finish, I kind of depressing twist on this whole thing: The Heart Beat extension never really made any sense to begin with. 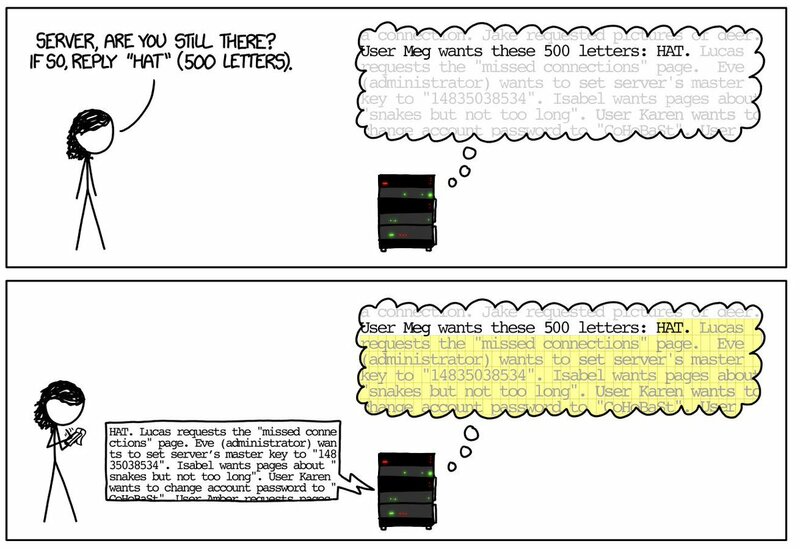 A 0-byte record could have been used as a keep-alive, and ordinary path MTU discovery works for UDP! All of this trouble for a feature that to this day I can't even think of a good use case for. This is one reason why "Don't do less well. Do less, well." resonates with me as a motto. That's my story for now, until I remember something I forgot. Thanks to everyone who moved mountains 5 years ago. I'm in JFK waiting to fly to Bucharest, so AMA! Late night emergency thread about this super interesting bug in Salsa20 because it is a case where MAC-then-Encrypt is better than Encrypt-then-MAC. But that's supposed to be heresy! o.k. shortish non-technical tweet thread this morning on capital Vs operational financial expenditure, because I only just learned a new way to think about it yesterday and it blew my mind. Maybe it's obvious to more, but it wasn't to me! Since we first launched, one of AWS's biggest benefits has been that customers can trade many big capital expenses; building data centers, buying software licenses, and so on for operational expense. In general, AWS is pay for what you use, with monthly bill. For a long time I've thought this is pretty simple. It's painful and wasteful to keep big chunks of money around and makes CFOs unhappy. Capital costs can be financed too, like buying a car, but there's an interest rate to pay and so the net-present-value cost is higher. Simple! O.k., this is happening ... now. I'm going to explain what's actually going on when data is encrypted, hopefully without mystifying, oh and some of the weird and inconsistent stuff cryptographers come up with. O.k. so symmetric encryption - that's what we most commonly use when we want to encrypt gobs of data, large and small. Your browser sends and receives your data with symmetric encryption. If your files or disk are encrypted ... that's symmetric encryption. iMessage, Signal, WhatsApp - they all use symmetric encryption to actually encrypt your messages. So at it's most basic, when you think of encryption as take chunks of data and "scrambling" them so that nobody who doesn't have a key can understand them, that's this. Everything you need to know about Boeing is that the company moved its headquarters from the Seattle area to Chicago entirely to avoid executives having to be near the impact of decisions they made. It was rumored that they found it awkward at social events. There was no financial justification for it. Boeing has hated unions forever and tried to break them. Moving away from Seattle was another tool in distancing the company from its production and seeing and experiencing the consequences of its actions. After moving to Chicago in 2001, Boeing began planning the 787. While the resulting plane was ultimately amazing, an endless series of bad decision making, largely around a lack of oversight among manufacturing partners worldwide, means the model will never make money. 2/ I've asked this repeatedly and never gotten or found an answer to it: was Gordon in fact one of the Sessions aides who met with Sergey Kislyak to talk Russian sanctions in September 2016, right around the time Maria Butina, a Russian spy, came into his life? We need an answer. 3/ Remember, Gordon was at Trump International Hotel when Papadopoulos revealed himself as a Kremlin intermediary; says Trump ordered the GOP platform change on Ukraine at that meeting; and may've been present for Kislyak meetings at the RNC after lying about the platform change. Statistics on #FarmMurders and #FarmAttacks were released by the South African government for the first time since 2011, confirming an average of 510 attacks and 56 murders per year, that is more than one per week. Farmers are being slaughtered in the most horrific, inhumane, sadistic, barbaric ways. They are tortured until they die, women raped for hours on end while their husband's are forced to watch, their heads are crushed and they are set alight. Torture which would have earned applause from Spanish Inquisition Torturers. ISIS style atrocities.